So, my friend G got married to his lady Fiaza at the weekend! Which I still cannot believe! Jill and I spent Saturday at the Watford Colosseum where we had been invited to the first part of wedding. I can honestly say it was completely amazing. I had never been to a Muslim wedding before, but it’s one of the best I’ve ever been to. And I was completely sober throughout! It all started with G walking into the Colosseum with us behind him. He got petals thrown at him, and then we all went through to the hall where it was all happening. G was certainly the centre of attention as he got to sit on a massive couch on a stage at the front of the hall. An imam then came in and married G, which is obviously unusual as Fiaza was still in a different room at this point. Then we had a delicious Indian meal. Pakoras and Chicken Tikka and other stuff to start, and then several curries for a main course. 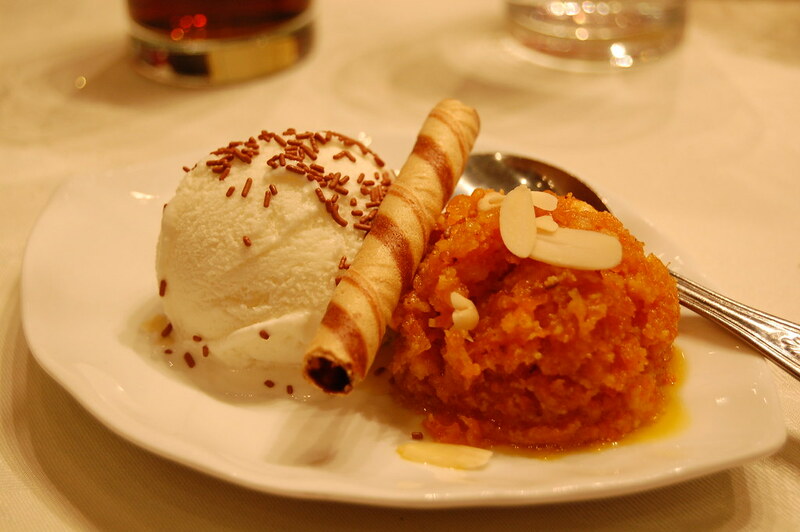 For dessert we had ice cream and gajar al halwa. I was very reluctant about trying this as G’s friend Omair told us it is made out of carrots. Looking at it, it does just look like mashed up carrots, which I don’t particularly like. However, it was lovely! Sweet and fluffy, and it didn’t even taste like carrot. Hooray! After the meal, G and Fiaza were surrounded on stage. G was presented with a beaker, baby cup or glass of milk. He had to choose one, but each had a price tag on it. Once he drank it, he then had to give Fiaza’s sisters the corresponding amount of cash. Then, they knicked his shoes, and he had to pay to get them back as well! 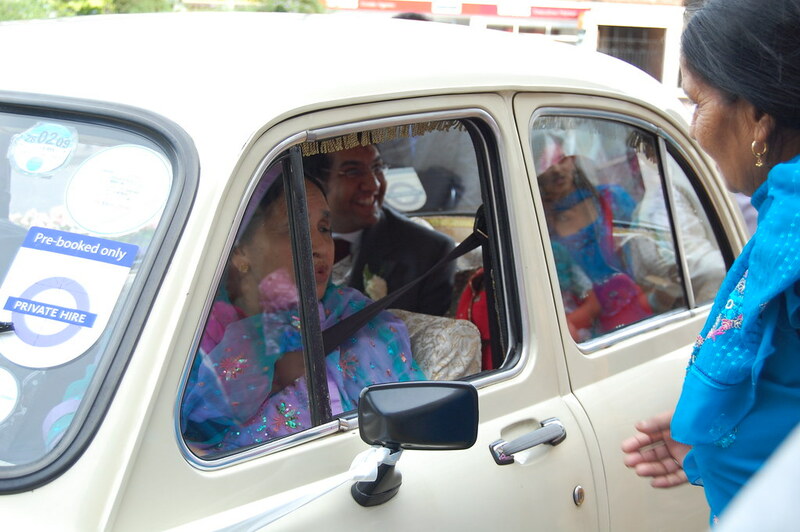 After that, it was time for Fiazza to say bye to her family and then head off in the amazing Bollywood type car with G. But they were only going round the corner or something. There’s no honeymoon just yet! It was the first time I’d met Fiaza too, and she seems lovely – she will be a nice addition to our little Belfast crew methinks! 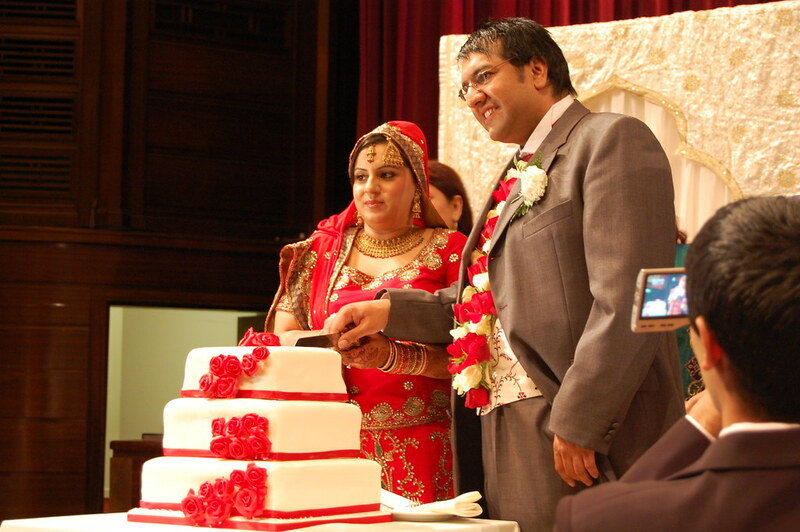 We get to do the whole thing all over again on Sunday, when G has his barat over here. Apparently that is more like a Western reception, but I will write about it anyway. See all the photos I took here (click Carousel at the bottom of the page for the best view).